Researchers at John Hopkins Medical Center in Baltimore, Maryland, conducted an extensive analysis over 25 years of U.S. malpractice claim payouts. The research revealed that diagnostic errors accounted for the largest fraction of claims and result in the most harm to patients overall. These errors have resulted in the highest total payouts amounting to $38.8 BILLION between 1986 and 2010. Further studies by the researchers indicate that there are between 80,000 and 160,000 United States patients suffer from preventable injury or death related to medical misdiagnosis. These errors also tend to be more common in outpatient care compared to that of impatient 68.8 percent compared to 31.2 percent however when errors occur in inpatient care they were more lethal. 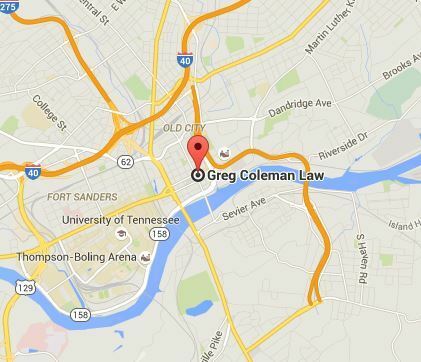 At Greg Coleman Law, our Tennessee medical malpractice attorneys have won over $250 Million fin successful settlements, and also verdicts, for our clients and developed an outstanding reputation in our community for assisting the injured during their time of need. Our team will fight to achieve the maximum compensation benefits you deserve for your injuries to assure your finances have not been compromised by a negligent individual or entity. To begin exploring your legal options we welcome you to call us at (865) 247-0080, or complete the Free Case Review form to the right of this screen. Our intake team is standing by. People go to medical professionals each and every day with the sense of security that these individuals will assist them with illnesses or injuries. However, these same medical professionals often misdiagnose patients which often results in further injuries or possible death. Over our many years of practice, our attorneys have witnessed several forms of diagnostic errors and represented dozens of clients. Delayed Diagnosis When a medical professional makes the correct decision after a significant delay, this is referred to as delayed diagnosis. This is also one of the more common types of diagnostic errors seen by our attorneys. Failure to Diagnose Unrelated Disease When a medical professional fails to diagnose an unrelated disease, yet properly diagnoses one disease, this is a form of medical malpractice and compensation can be sought out. Failure to Diagnose Related Disease This may occur when a medical professional diagnoses one disease, however fails to diagnose a related disease. The related disease will typically go hand in hand with the primary disease and can have an increased risk of incidence in patients that have the primary disease. Failure to Recognize Complications When a doctor makes the correct diagnosis, yet fails to identify certain complications or factors that could change or aggravate the illness or condition, this is a type of medical malpractice. Missed Diagnosis When a medical professional gives a patient a clean bill of health, yet there is an illness or disease present, this is known as a missed diagnosis. Incorrect Diagnosis When a medical professional diagnoses an individual with a disease such as cancer, yet the patient is cancer free, this is known as an incorrect diagnosis and is a type of medical malpractice. In any case, if you believe your doctor has made a diagnostic error, our attorneys welcome you to contact us with any questions you may have today. Contacting a skilled personal injury attorney is a giant step in the right direction while recovering from medical negligence. If you are under the assumption that a medical professional made some type of diagnostic error, you may be entitled to compensation for any losses and damages they have caused. For more information about our law firm, or to receive your free no-obligation consultation, our attorneys at Greg Coleman Law welcome you to call us at (865) 247-0080 or complete the Free Case Review form at the top of this page.